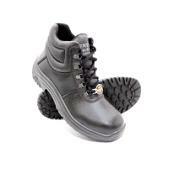 According to the National Safety Council, only one out of four victims of job-related foot injury wear any type of safety shoes or boots. The remaining three are unaware of the benefits of protective footwear. Below is a list of the most common foot injuries that occur in the workplace. Crushed feet, broken bones and loss of toes. These injuries are more common in the construction industry but they are also reported in the logging and fishing industry too. Puncture wounds to the feet. 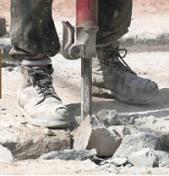 If you work where nails, staples or even scrap metal is used then this can happen when safety footwear is not worn. Cuts, lacerations and severed toes are common for those who work with machinery such as chain saws. Burns. These can be from chemicals or hot metal splashes. Electric shocks. 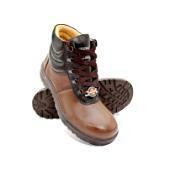 These are most common for electricians and construction workers. Sprains and fractures can happen in any workplace and are normally caused by slips, trips and falls. 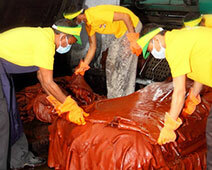 The Occupational Safety and Health Association (OSHA) rules that the employer shall ensure that each affected employee use protective footwear when working in areas where there is a danger of foot injuries due to falling or rolling objects, or objects piercing the sole, and where such employee’s feet are exposed to electrical hazards. 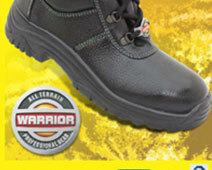 Most of the injuries above can be prepared for and avoided through the use of proper Safety Footwear. Not only is it the law for employers to do everything they can to keep their employees safe everyday, injuries cost millions of rupees in medical costs, worker’s compensation and loss of productivity. With Liberty offering different types of industrial Safety shoes and boots today, there really is no reason not to protect your employees’ feet no matter what type of environment you work in.